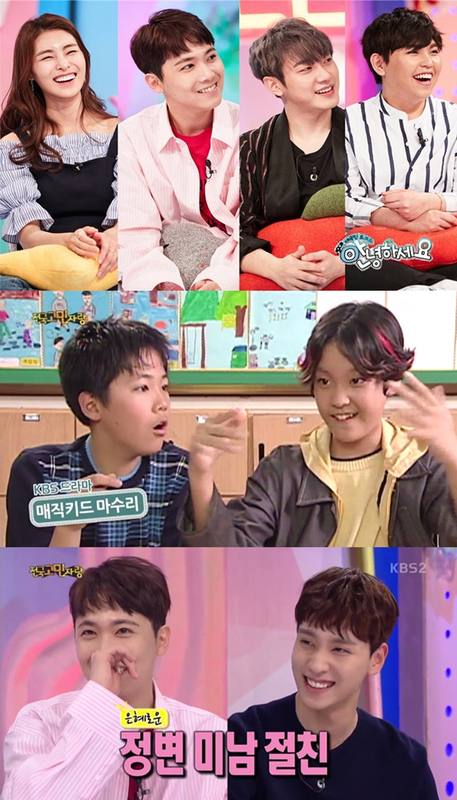 On the upcoming episode of ‘Hello, Counselor,’ Lee Hongki and Choi Minhwan of F.T. Island, actress Kim Jeonghwa, and singer Han Donggeun will make an appearance. The beautiful actress Kim Jeonghwa also appears on the show. She is leading a happy marriage with two sons of age four and ten months. This episode will feature a 30-year-old man who wants to unleash his life-time emotional baggage. He is tired of taking care of his older brother, who ran away 10 years ago with his credit card and still asks him for money. He has lost his fingernails from working too hard to pay off the credit card that his brother is using. The audience and the panels sigh over his unhappy fate.